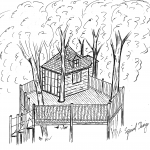 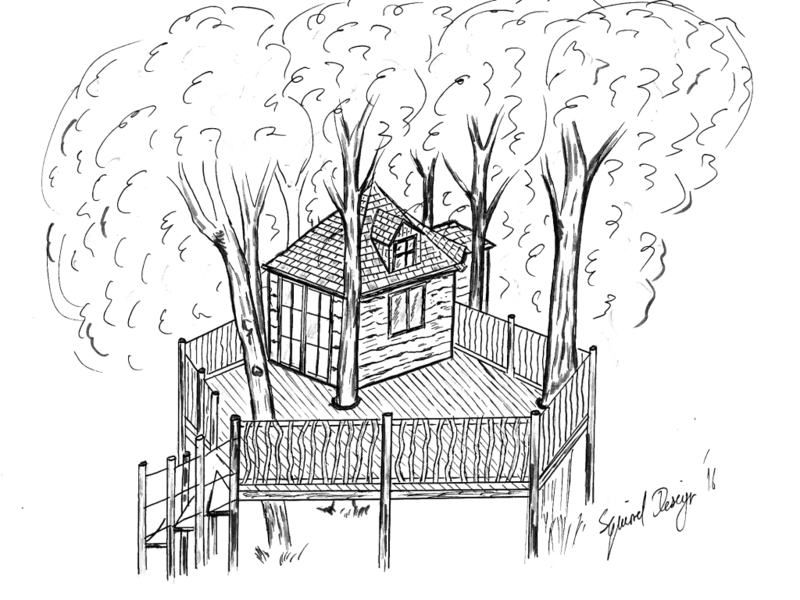 With their extensive garden and large lake they wanted to have a garden building that they could use to escape from the children. 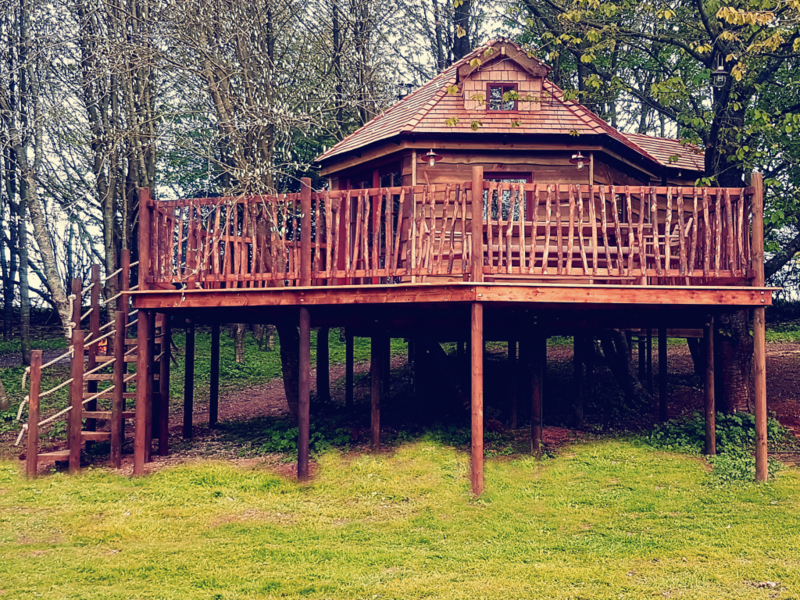 The Family had a dream of having a luxury garden accommodation that they would be able to use year round as a home away from home, and also somewhere they could invite friends and family to stay and feel like they had some independance from the main house. 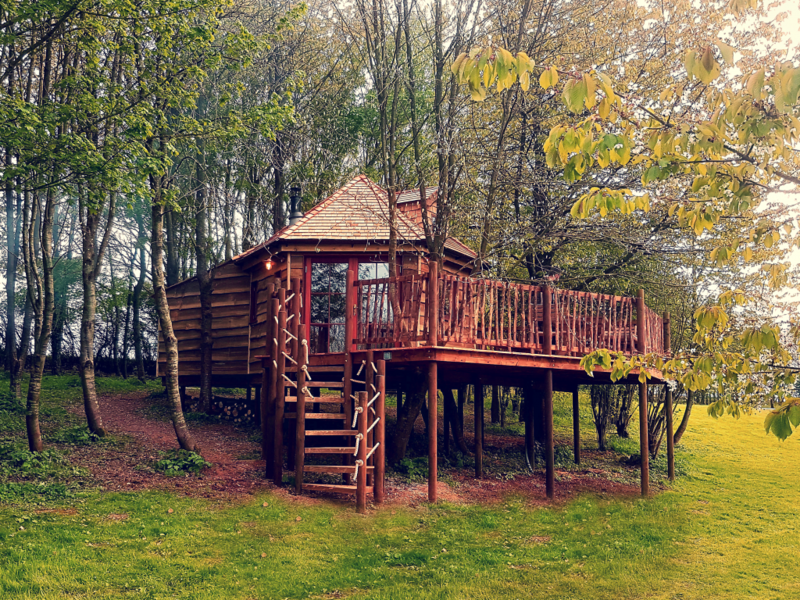 They also had the idea of using it as a glamping accommodation on air b n b in the future. 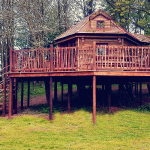 We designed the building with large French doors opening out onto the extensive balcony so they could get the beautiful views of the lake from both inside and out. 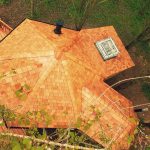 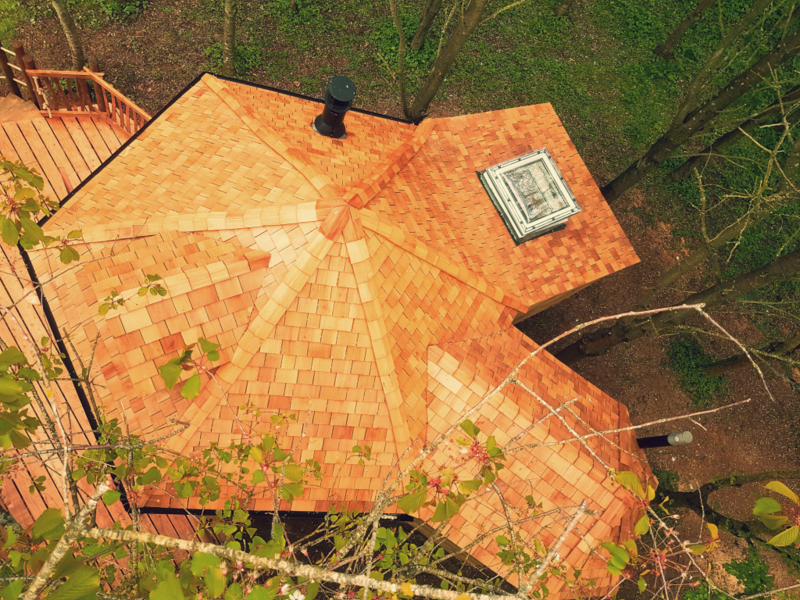 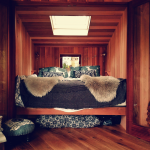 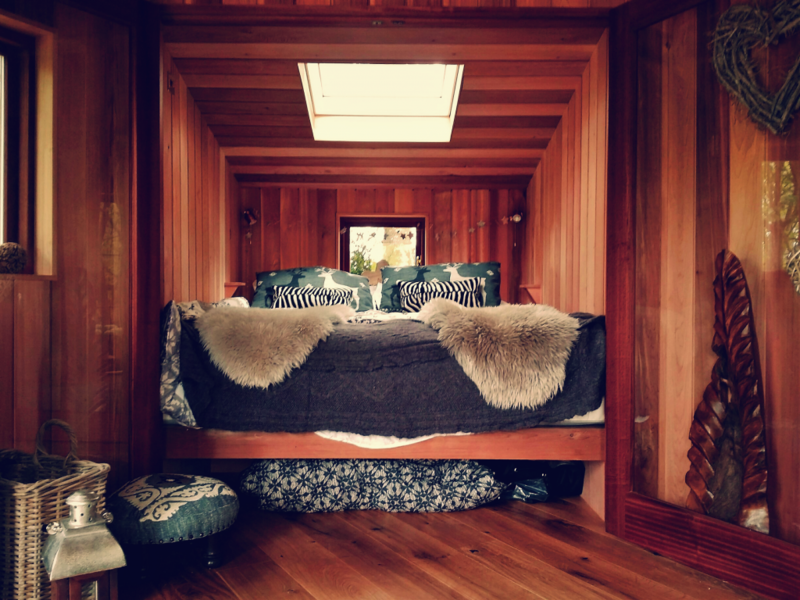 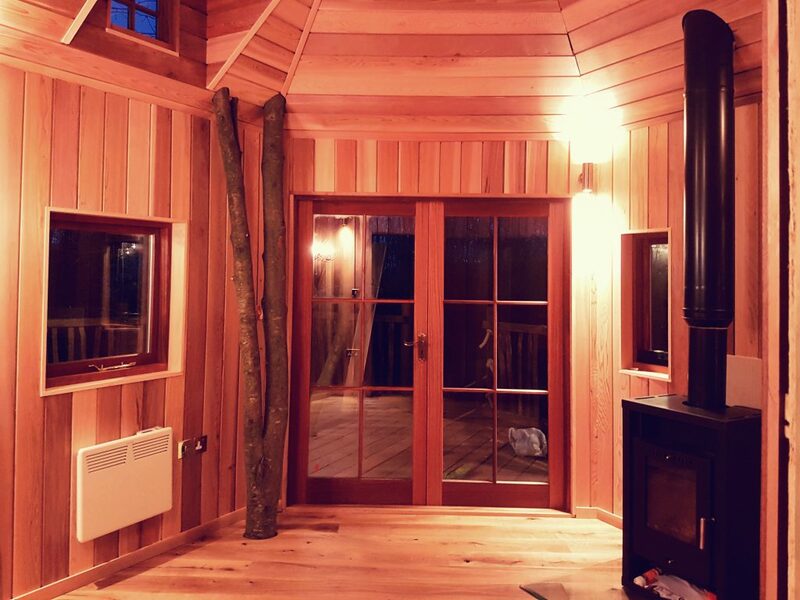 To achieve a feel of tree house luxury without the maintenance involved with a living tree growing through the building we placed a tree trunk in the corner of the building making it seem like it was growing up through the floor and out through the ceiling. 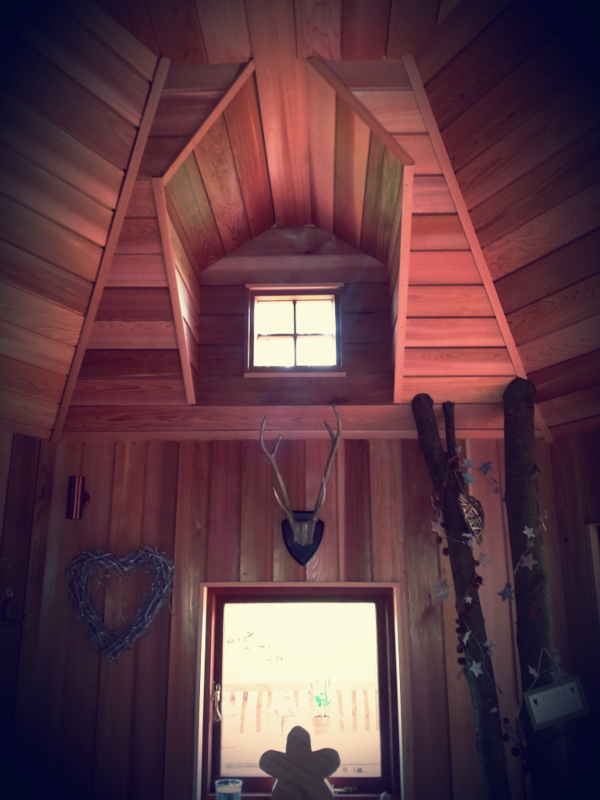 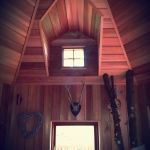 Clad internally with grade one knott free cedar cladding the finished build has a real feel of luxury. 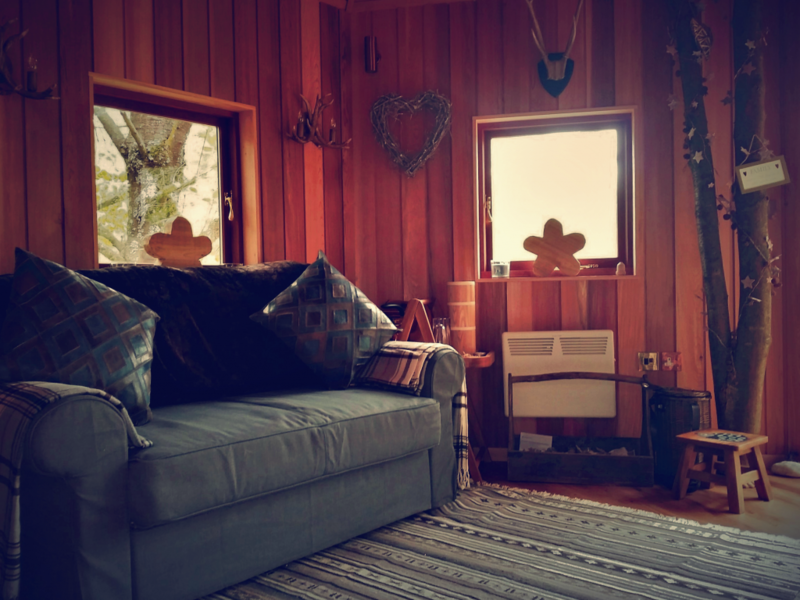 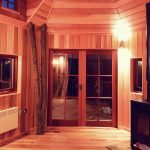 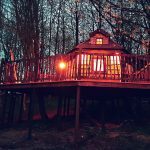 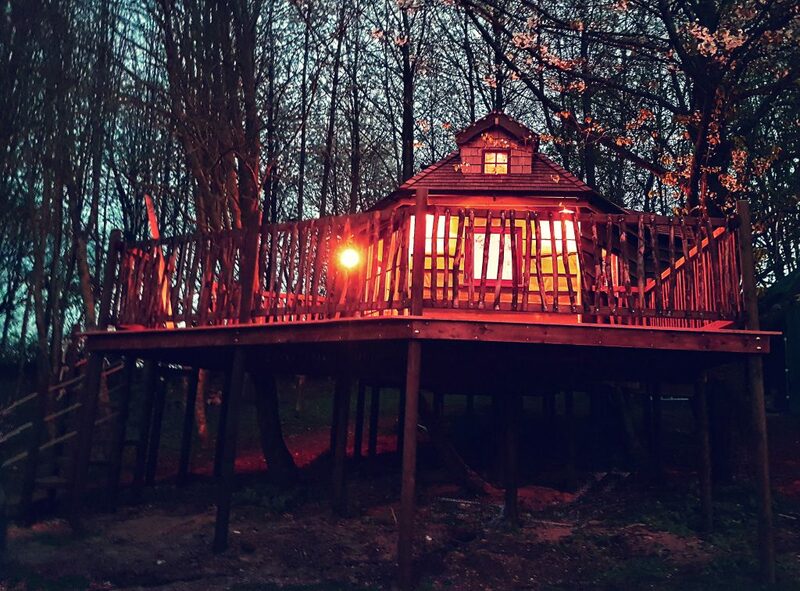 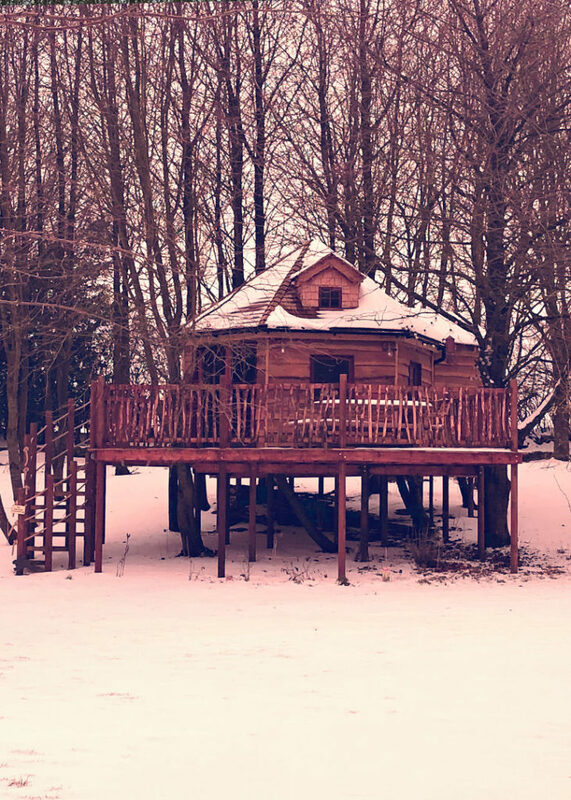 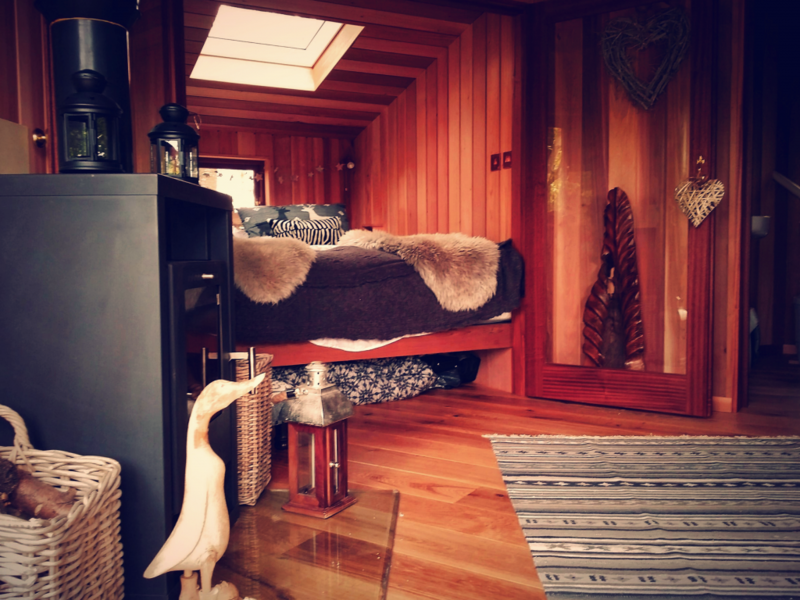 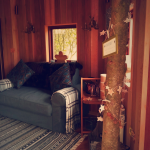 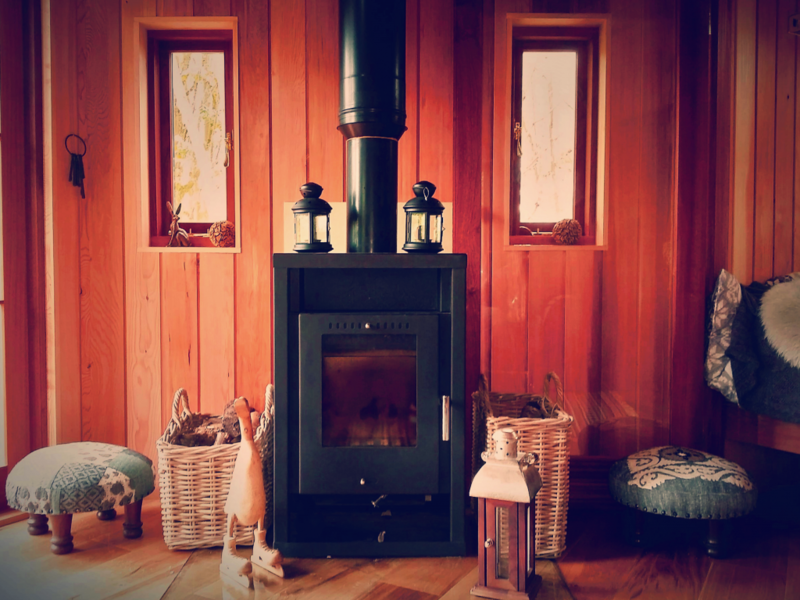 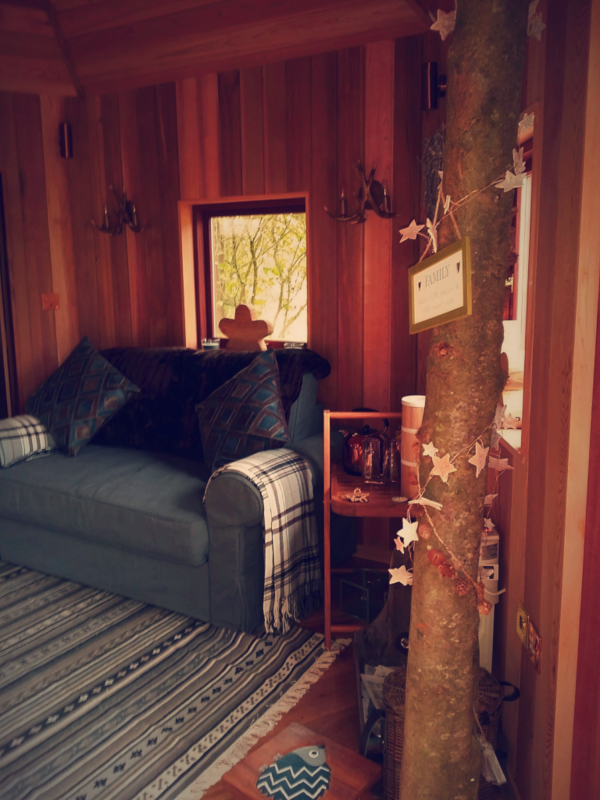 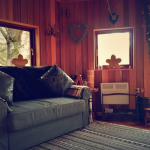 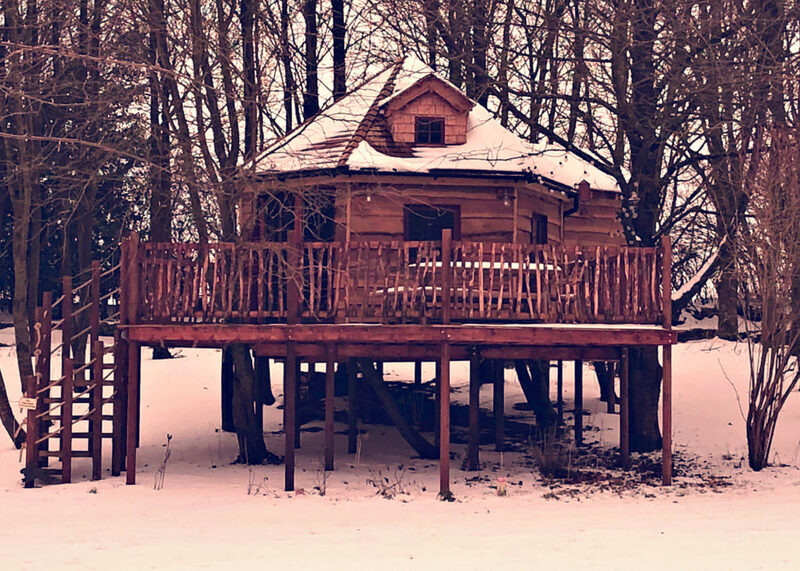 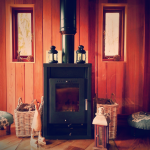 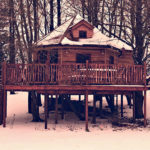 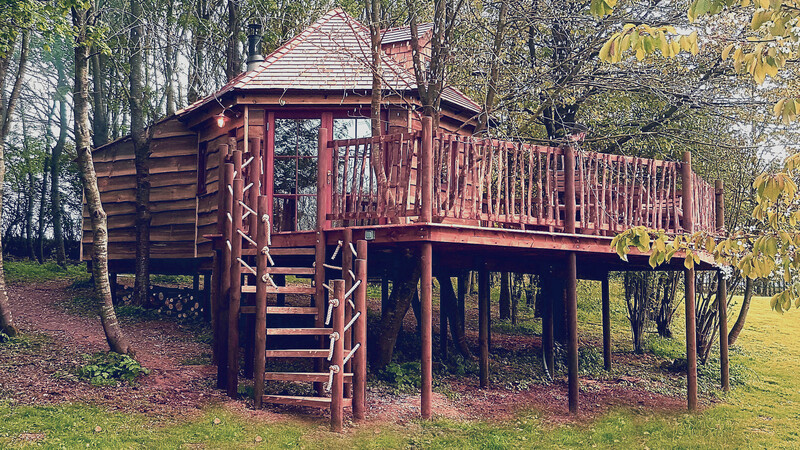 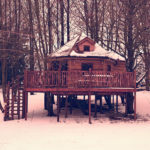 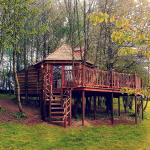 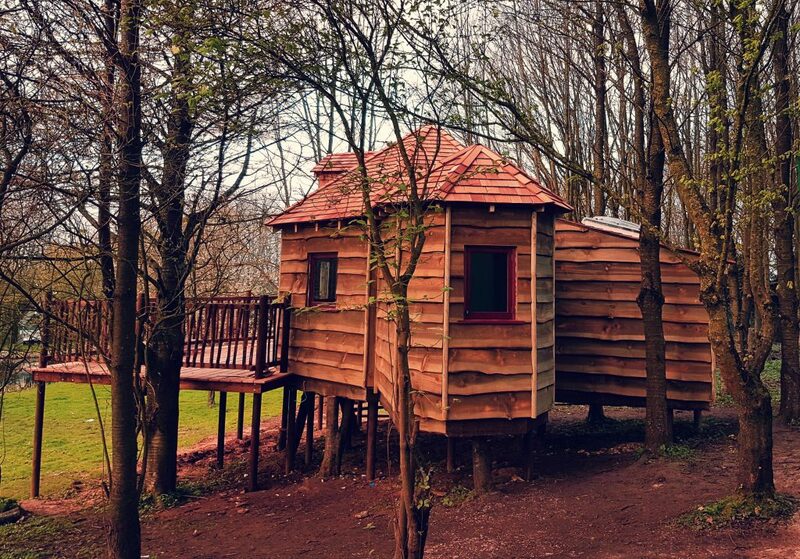 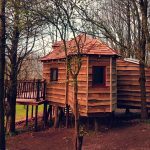 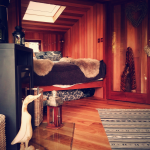 Fully insulated with a hardwood double glazed units all round and a log burner the owner said to us if there’s ever a freezing winter we’ll leave the house and hold up in the tree house until the summer comes as it’s such a cosy, warm space.